I’d like to tell you something about the best football club you could — to my mind — find in the world. This club is called Hansa Rostock! When you’re Fan of this club it’s not just about winning or losing, there is a whole lot more! Where I’m from Hansa Rostock is a part of your life! This club accompanies you every day. Most people here would give the shirt off their back for Hansa. Hansa Rostock stands for home, love and passion! Not many here could imagine a life without Hansa Rostock. But exactly this is the problem. Hansa Rostock has got debts, debts they’re not able to handle alone. The reason for these debts is missmanagement. Hansa Rostock played in the “Bundesliga” (the premiere league of Germany) 12 years ago. But Hansa was not able to effort the funds for this league, because it’s a very small club. They started spending money they didn’t have. In Addition to that there had been some poor transfers, so they had to remargin a lot of taxes. The people who made these mistakes buzzed of very quickly. Now, 12 years later, Hansa Rostock has to come to terms with the past. Because they can’t handle all this problems alone, they need financial aid. That’s why they asked the city Rostock for help. Everybody thought they would say “YES” immediately — but they didn’t. That’s why my lovely football club could simply have disappeared on the 9th of May. No one is able to describe the feelings we had because of this fact. We would lose everything- our traditions, memories, heros…and presumably a part of our life! I don’t want to hear anyone say: “For god sake, who’s Hansa Rostock?” What I want to hear is: “Hansa Rostock? You’re the guys from the Baltic Sea, aren’t you?” It’s not just me that thinks this way. 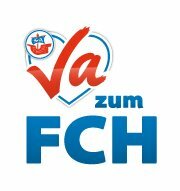 That’s why the fans of Hansa started a campaign called “Sag JA zum FCH!” (“say YES to the FCH”). – Many of the inhabitants of Rostock would lose their source of love and passion. – Hansa is important economically. Every year they pay millions in taxes. – Hansa Rostock is a popular label of Rostock and Mecklenburg-Vorpommern. That means Hansa is an important marketing factor for the region. Hansa Rostock belongs clearly to the soul of Rostock and the people living here in a special way. 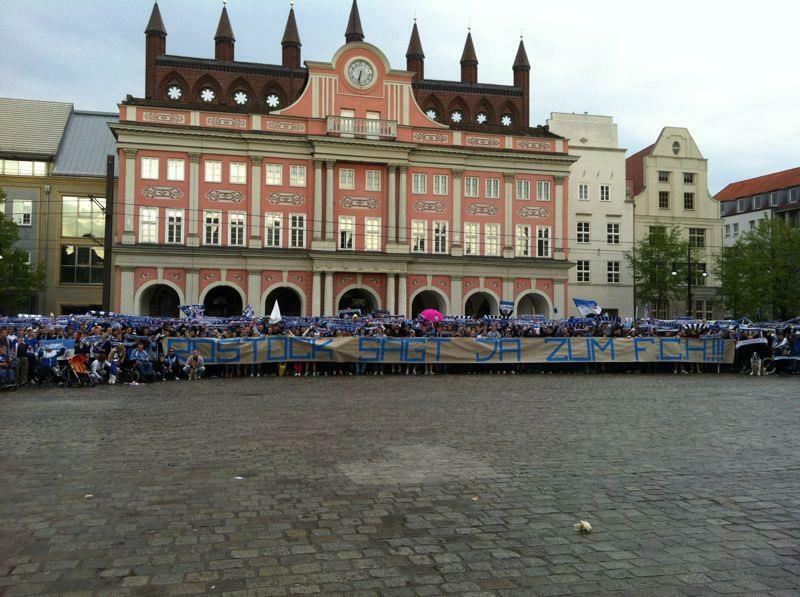 It’s hard to describe the love a lot of people do have for Hansa Rostock. You can get a tiny clue of it if you visit the “Ostseestadion” and watch a game. Since 2007 the official name of the stadium hasn’t been “Ostseestadion” anymore. In the year 2007 Hansa Rostock had to sell the name of the stadium because they needed the money. That’s why the official name is now “DKB-Arena”. Nevertheless, nearly everyone here calls it “Ostseestadion” , which means “Baltic Sea Stadium”. That means the name of the stadium is connected to the region as well. To my mind, it’s because of traditions and habits. Form 1954 till 2007 people had been used to the name “Ostseestadion”. Hansa Rostock is a traditional club. That’s why no one here will ever get used to “DKB-Arena”. Even on the street signs you can still find the name “Ostseestadion”. I’m sure you won’t regret visiting the “Ostseestadion”! 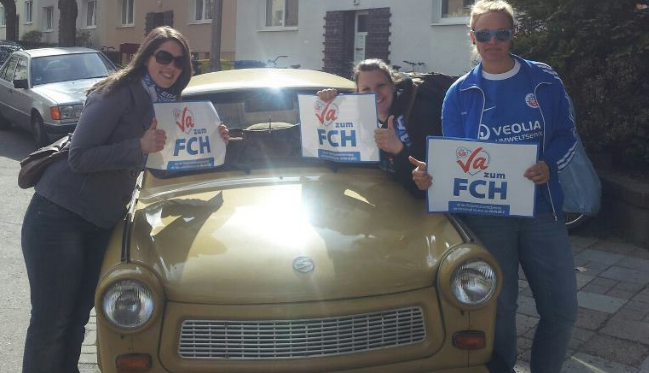 Or see all the big pictures by following the campaign, if you’re not able to come to see a match. ← Moor and ghosts – scared or interested? I am visiting Rostock with work. I hope to watch your club play. I have sympathy with Hans problem as my club is Plymouth Angle in English 3rd division. We also had mismanagement that led to selling all our players. Now We have come through this and believe we may start to recover. the one noticeable thing is supporter loyalty and belief in the club. this process takes time but I am sure with this attitude you will prosper again in the leagues. I note Plymouth is also had a port with many similarities. good luck from a true green Pilgrim.